In our two previous posts on Fazaia Housing Scheme Karachi, we discussed the launch of the project with its features and reported that Bahria Town has no ties with Fazaia Housing Scheme Karachi. In this post, we would like to provide you a brief update on the locality. The announcement of Fazaia Housing Scheme Karachi spread like wildfire among property investors across the country and a large number of people rushed to buy membership forms in the society. Today is March 26, 2015, the closing date for membership applications in the society, so the stakeholders must now be concerned about its future prospects. The society’s membership forms were traded like shares in the stock exchange and their prices increased and decreased frequently once they entered the secondary market. Kings Estates Chief Executive Officer (CEO) Mr Tariq Malik Awan told Zameen.com that the maximum price at which a form originally worth Rs 1,000 was traded in the secondary market was Rs 45,000. He also said the launch of Fazaia Housing Scheme Karachi had proven to be a huge success for Pakistan Air Force (PAF), which received a response that was far beyond its expectations. According to Mr Awan, 75,000 to 80,000 membership forms were issued in total by the developer, out of which 40,000 to 45,000 forms were allocated for civilians. He added that after March 26, those who had bought forms would be free to trade them until balloting, which was expected to be held after two and a half months. The transfer fees of the form, according to Mr Awan, would be Rs 2,000. That is all the new info about Fazaia Housing Scheme Karachi that we’ve been able to get our hands on until now, but stay tuned for more. The comments section below is always open for you to have productive discussions about the locality. Disclaimer: The information given in this post was provided to us by Kings Estates CEO Mr Tariq Malik Awan, and neither Zameen Media (Pvt) Ltd nor any of its employees can be held responsible for its authenticity. 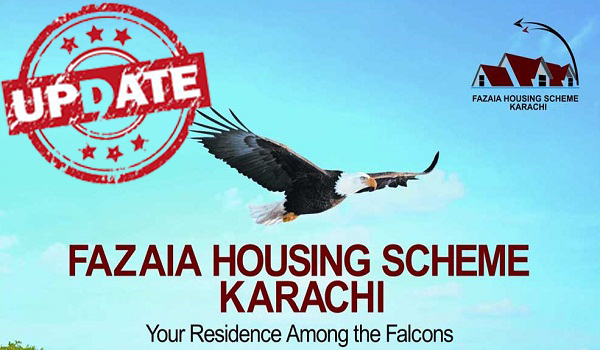 Please engage individual sellers of Fazaia Housing Scheme Karachi membership forms in the comments section below at your own risk.